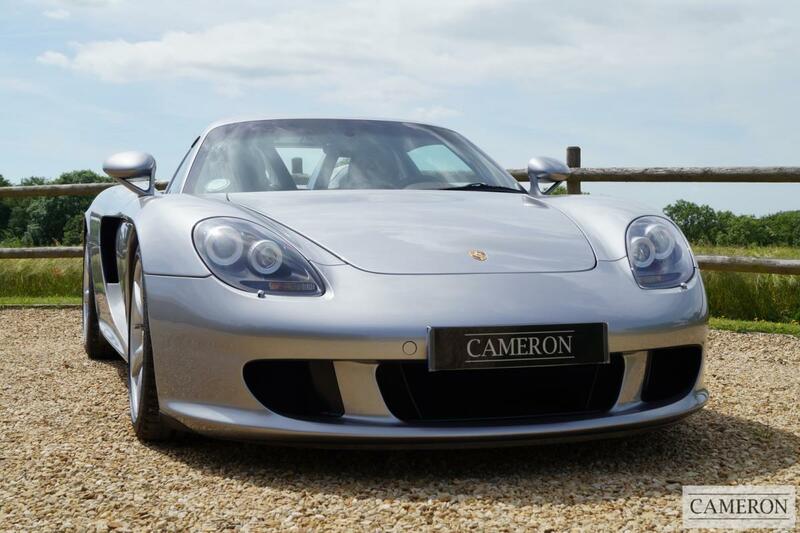 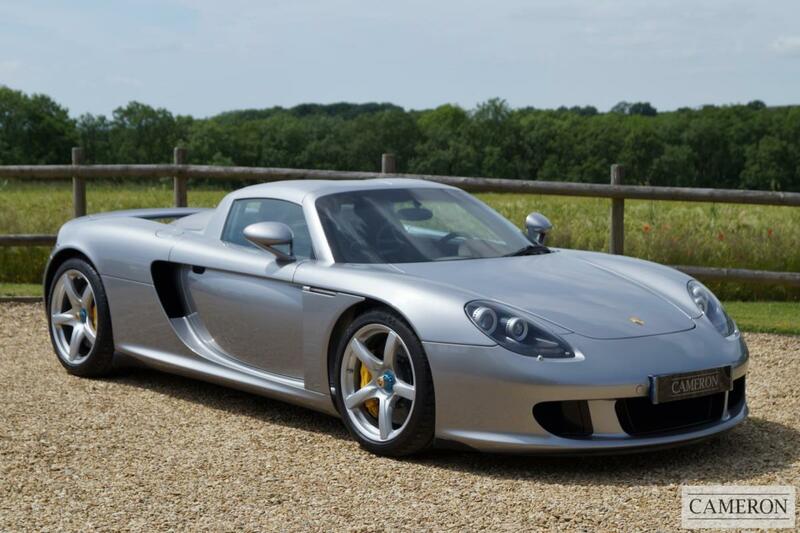 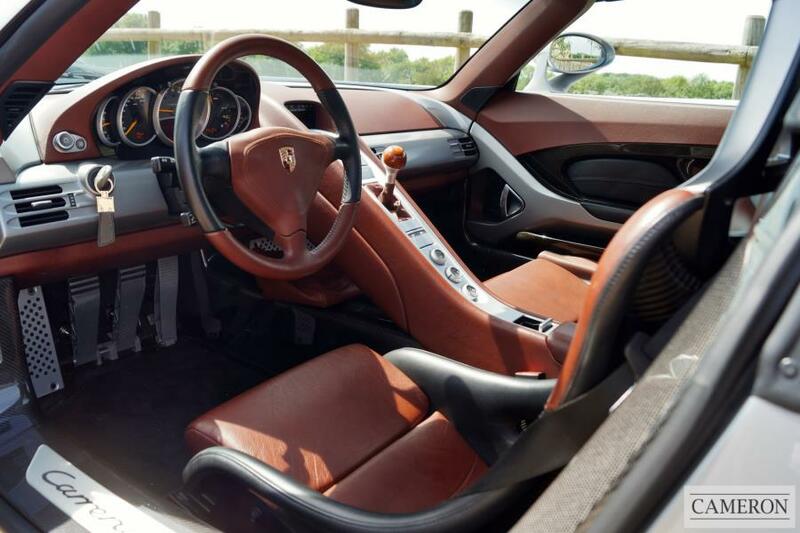 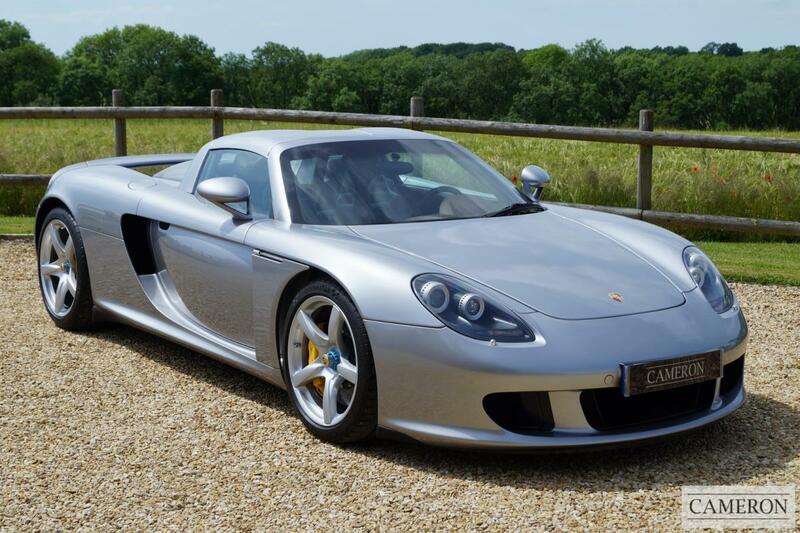 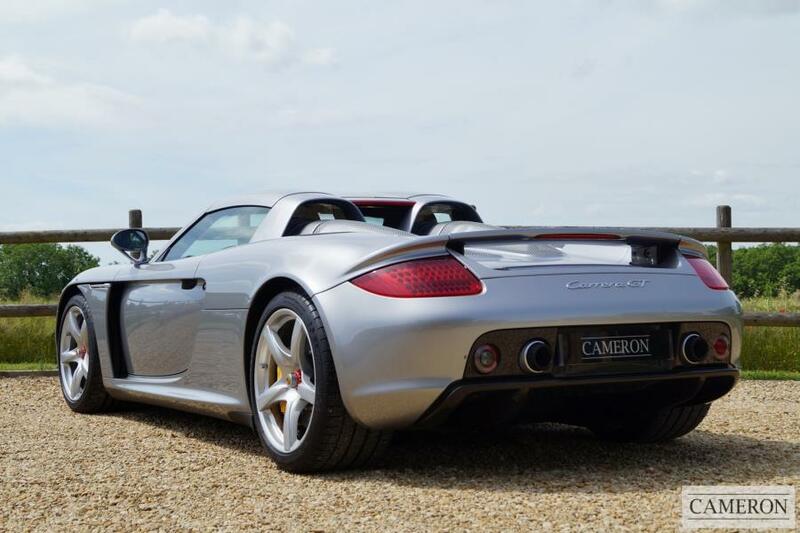 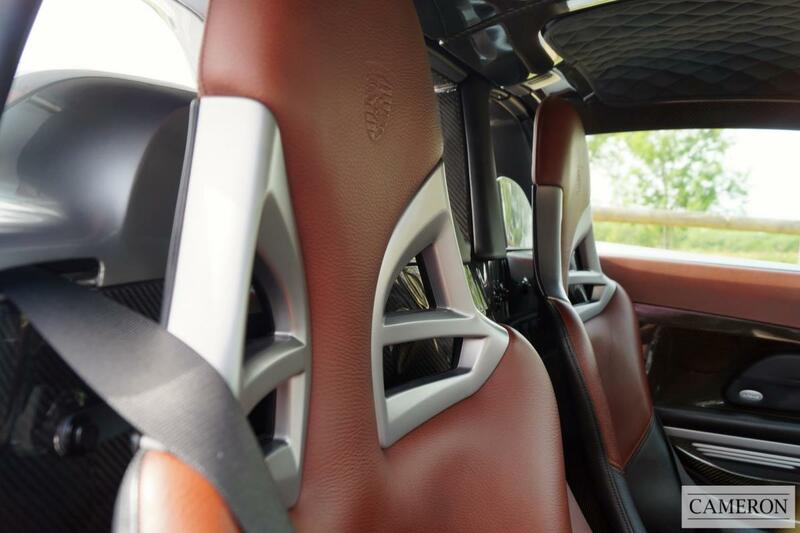 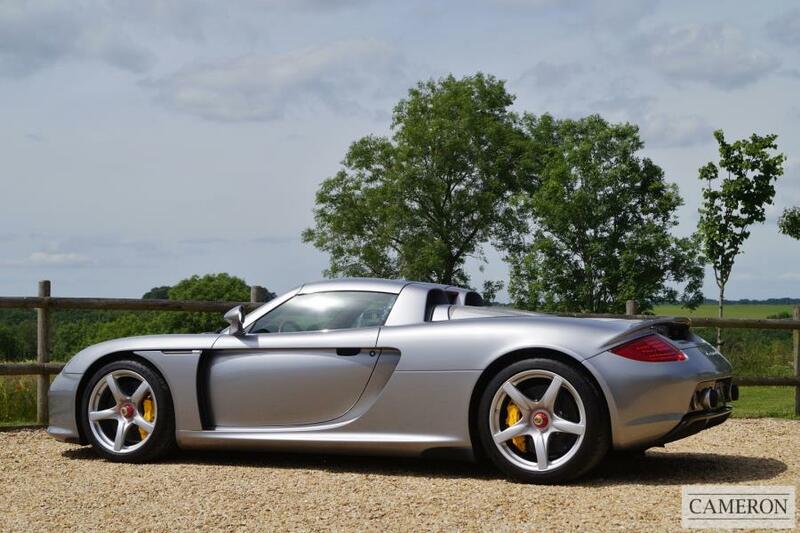 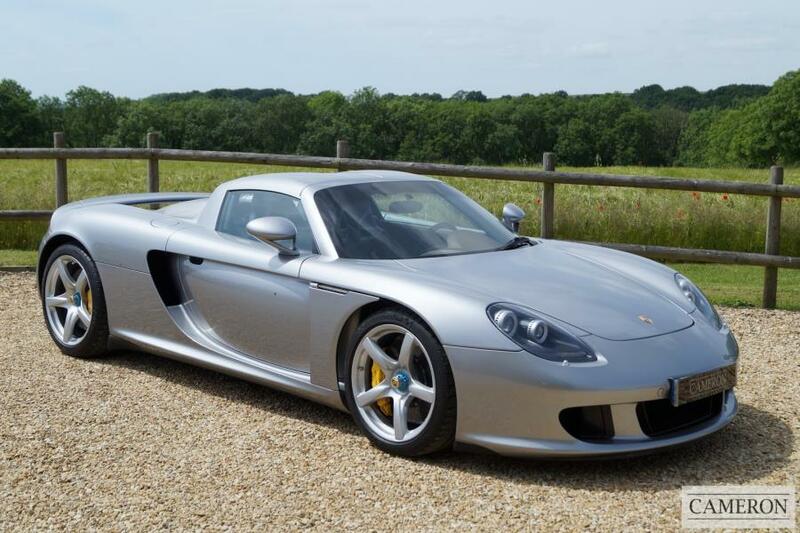 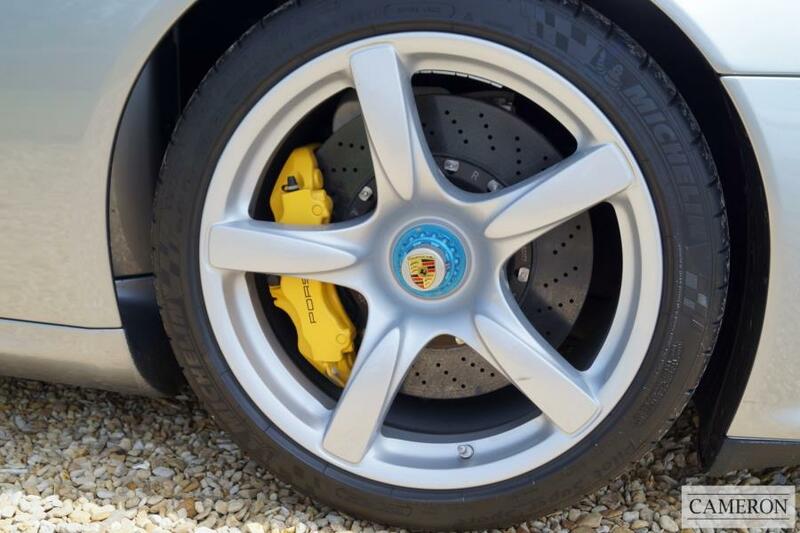 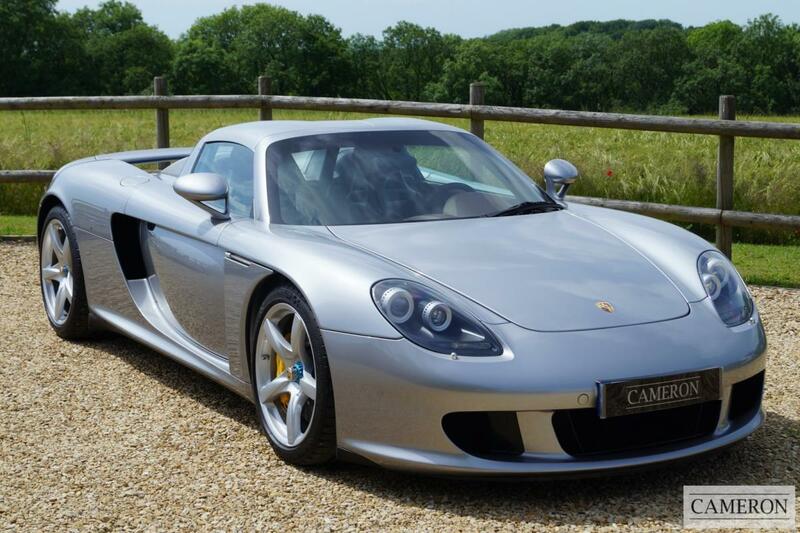 This Low Mileage UK supplied Carrera GT was delivered with the following specification: GT Silver Metallic, Ascot Brown Leather, Manual Air Conditioning, Porsche CD/Radio, Porsche Sound System & Fitted Car Cover. 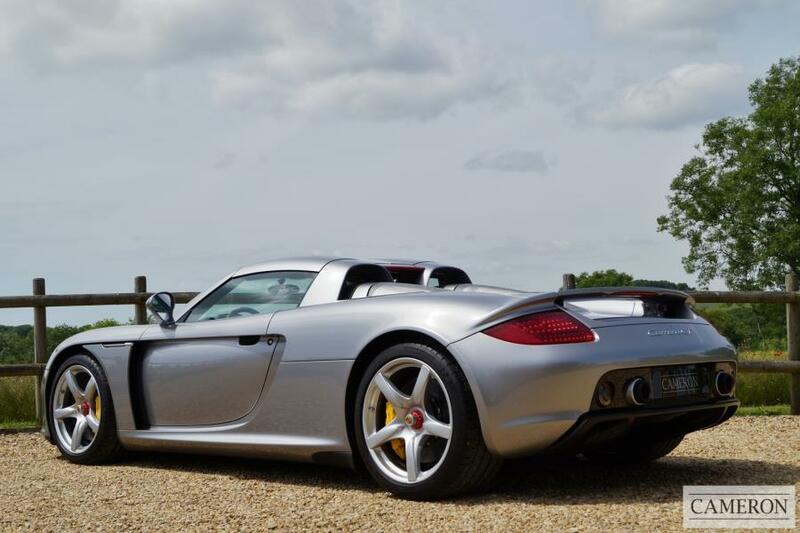 Just 3 Owners from New Supplied & First Registered in the UK by Porsche Centre Hatfield on 1st March 2006. 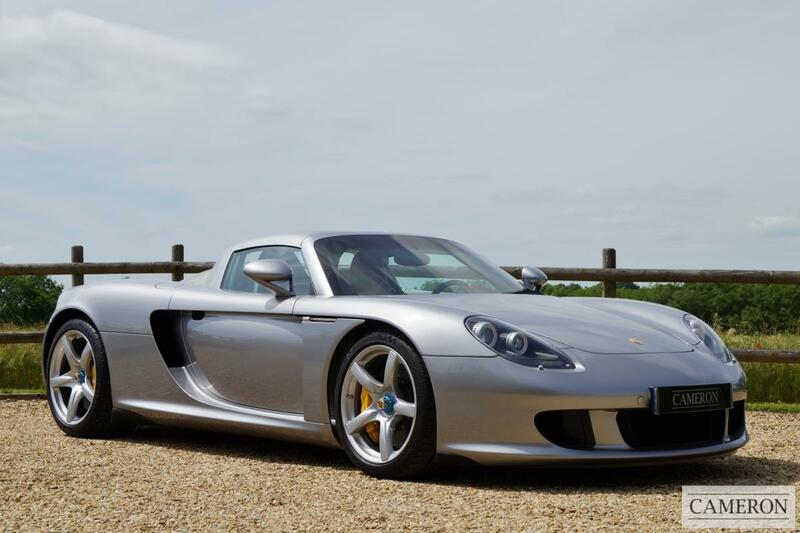 Has been kept in storage at Porsche GB from 2007 - 2014, Full Service History with Porsche GB special operations at Reading who are the only UK Porsche approved service centre for this model. 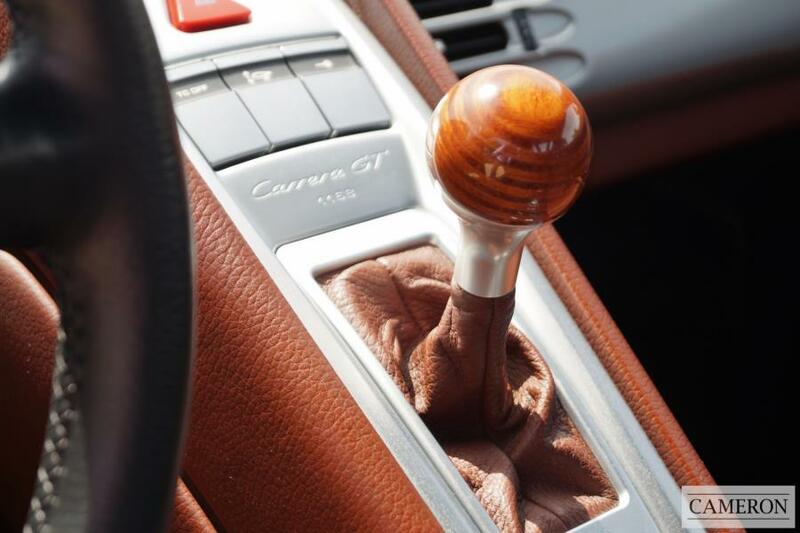 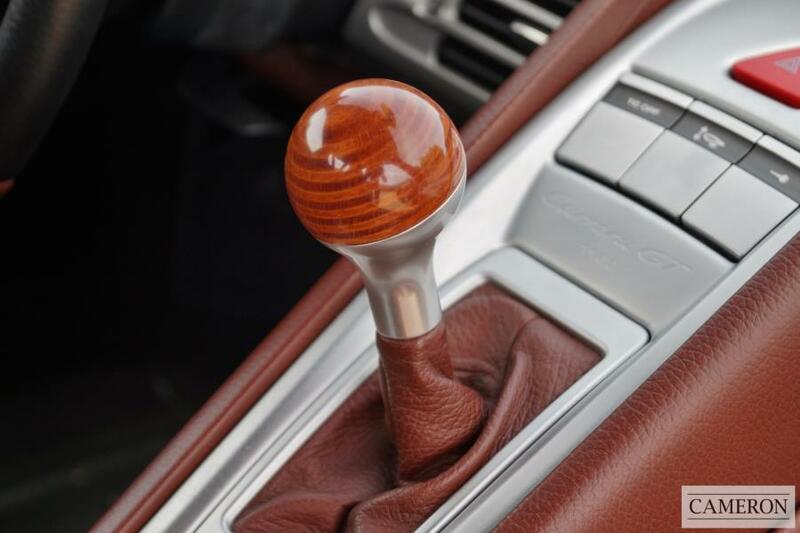 This particular example is in the classic colour scheme for a Carrera GT and has the trademark beachwood gearknob (paying homage to the legendary 917 Le Mans winner). 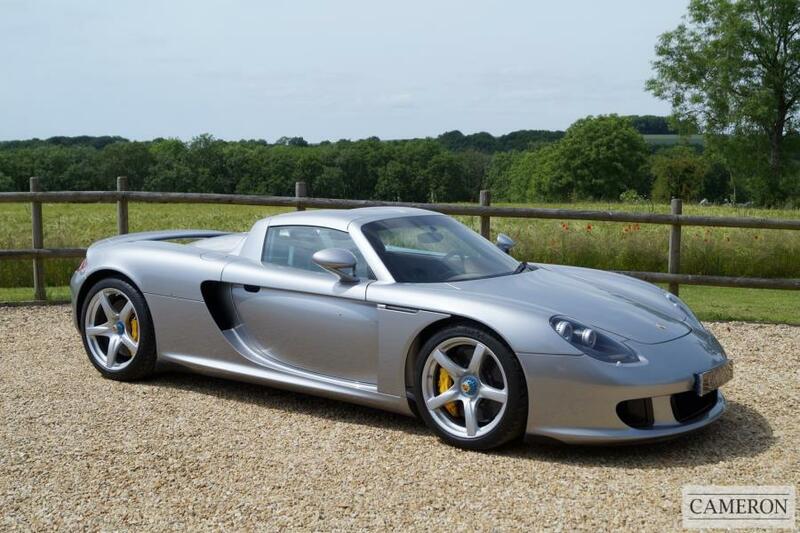 First shown at the Paris Motorshow in 2000 as a concept, the Porsche Carrera GT featured a V10 engine developed by Porsche initially for use in Formula One, a project that was then shelved before it returned for the development of the 1999 Le Mans Prototype which also didn't proceed, but after the Paris show, the level of interest was enough for it to become the heart of the Carrera GT. 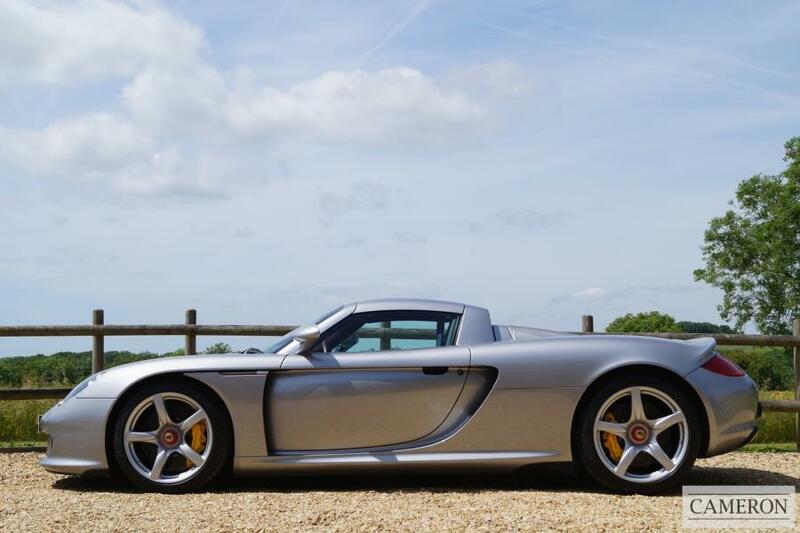 Produced between 2004 and 2006, total worldwide volume was 1,270 cars, all of which are Left Hand Drive. 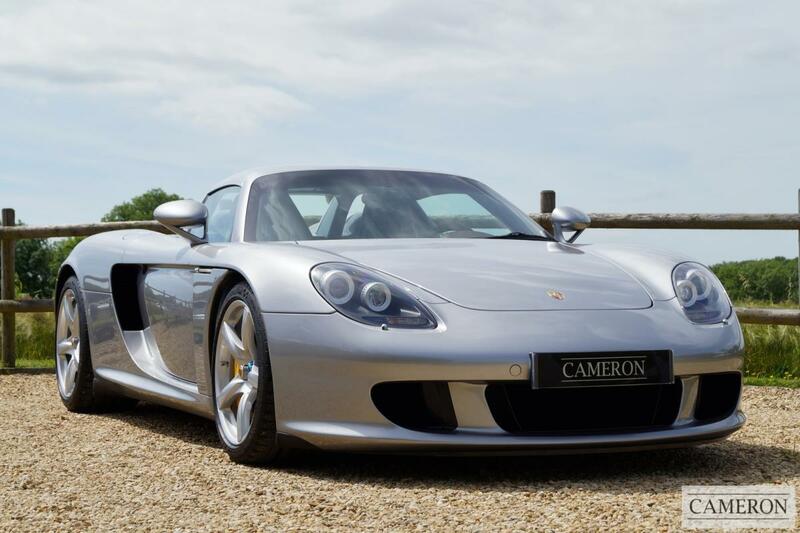 The 5.7 Litre V10 Engine was exclusive to Carrera GT and produced 612 BHP, it was available with 6 Speed Manual Transmission only. 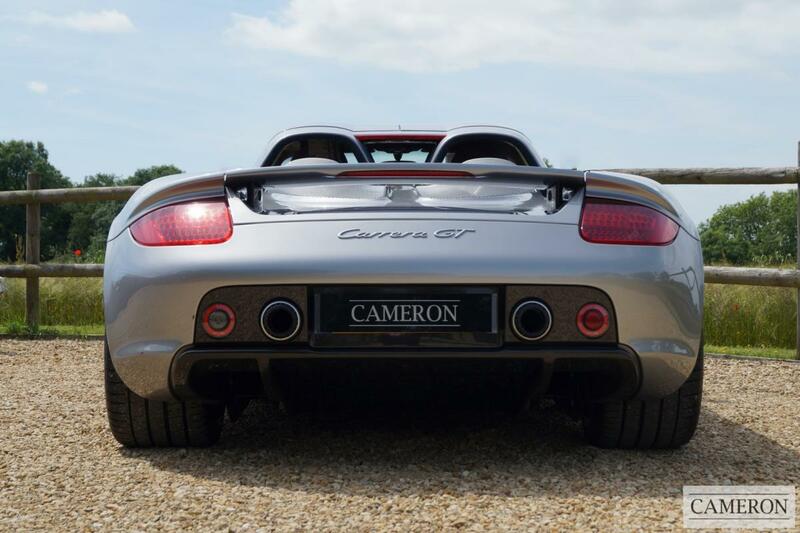 The Body, Monocoque and Sub-frame are all made from Carbon Fibre and it is fitted with inboard suspension, all these ingredients making it very much a race car with number plates. 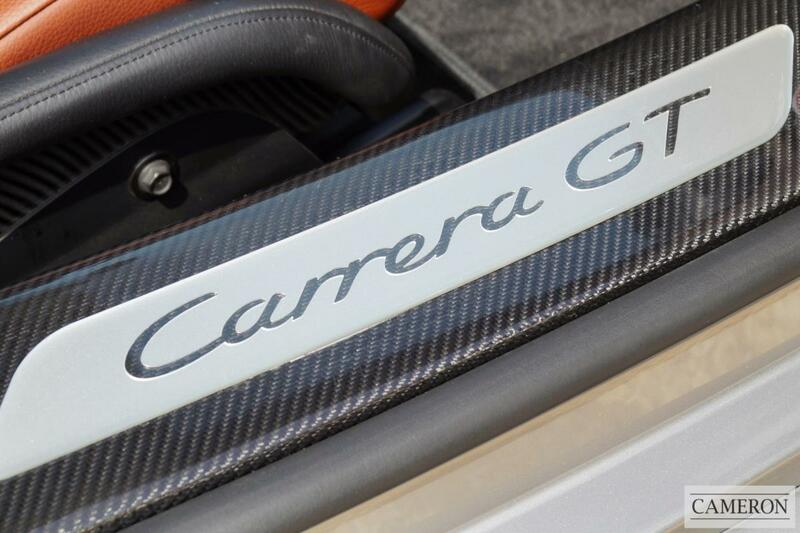 The Carrera GT's reputation is generally preceded by the sound it makes, revving to an 8,400 RPM red line, the sound is, not surprisingly, similar to that of a mid 90's Formula 1 car.